A Confederate statue that has stood for more than 100 years in a cemetery in Rome, Georgia, was vandalized, causing up to $200,000 in damage, authorities say. The Confederate monument at Myrtle Hill Cemetery in Rome suffered a smashed face and had its hands chipped away to steal the stone musket it was holding. “It has been reported, the damage has been estimated and, yes, [we] are investigating,” Rome Police Lt. Danny Story told ABC. 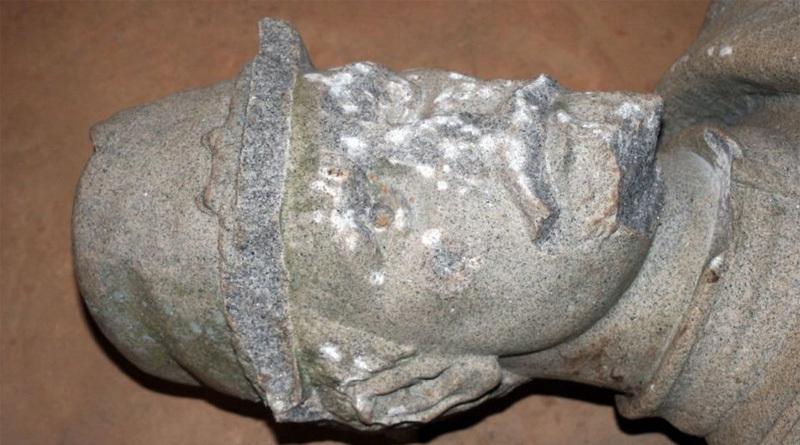 Due to the damage and fears of further vandalism, the figure was removed from its base and put in storage while officials consider how to repair the damage. Rome City Manager Sammy Rich insisted that the act was not a mere impulsive attack, but required planning. “It looked like it was surgically cut,” Rich told the media. “It’s just super disappointing that somebody would go to that much trouble to get up there, put a ladder up or whatever to reach it,” Rich added in an interview with the Rome News-Tribune. The destruction of the statue occurred overnight on December 22. The statue was originally erected in 1887 by “the Women of Rome” and was dedicated to the defenders of the Confederate states. At the time, the women’s group maintained the Civil War section of the cemetery. The first monument featured a large urn on the existing base, but in 1909, the Confederate soldier statue replaced the urn.